Is Android the next Symbian? 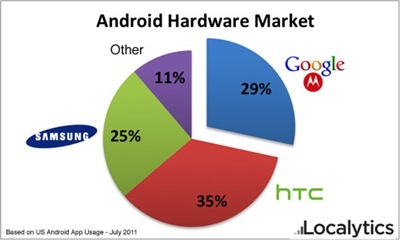 Home Android Is Android the next Symbian? The dust has settled and the time has come for the reality to kick in. Whatever threats we have seen with Android have now been quelled, but new threats are emerging. Running a business is like playing chess. You move a piece to support another piece, only to find that you have weakened the position of yet another piece. I just learnt that Symbian was started as a open handset alliance, much like Android. In case of Symbian, the shares were not equally distributed and Nokia had majority share. This made other members uncomfortable who sold their shares and left. After a while, Nokia was the sole Licensee and the licensor. There were 11 participants in the Symbian alliance, which also included Motorola. Android’s open handset alliance has 84 members in it. The alliance has mobile operators, software companies, commercialization companies, semiconductor companies and handset manufacturers. With so much of diversity and so many vested interests, it is hard to think that Android might go the Symbian way. But what’s stopping Android from going the Symbian way? How much of openness will Google let Android have? Sriram Vadlamani is the Editor and co-founder of TheGadgetFan and a columnist at Asian Correspondent. You can follow him on twitter @indianomics (Email: [email protected] | Bio). Add him to your Google circle. Samsung Has a New Problem : S7 Camera Lens Shattering Without Any Impact! Best 8 Custom ROMs for Your Android Device! How to Unlock the True Potential of Your Android Smartphone, Without Rooting!